The last two weeks have been pretty chaotic for me. Some really amazing things have happened in the middle of some not so amazing things which is what life seems to do! All I want to do today is spend time on the blog, check in on how you guys are doing, and see what everyone is reading. 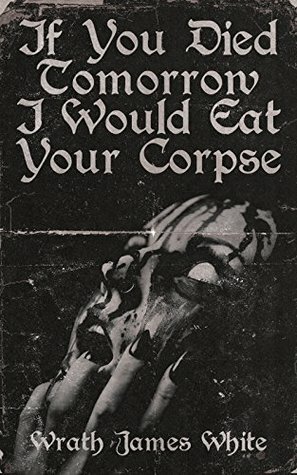 If You Died Tomorrow I Would Eat Your Corpse by Wrath James White - How is that for a title? I've been on a poetry kick, and I'll have a review out for this one this week. I Am Not Your Final Girl by Claire C. Holland - This is another poetry collection. I didn't enjoy it as much as the Wrath James White collection. I haven't decided if I will review it yet. 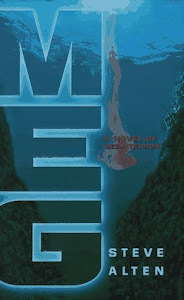 Meg: Origins - Thank you, Barb, for suggesting Meg is a better read if you read Origins first. I took your advice! Saga, Vol. 5 by Brian K. Vaughan (Writer), Fiona Staples (Artist) - My library finally came to their senses! Meg by Steve Alten - I'm having so much fun reading Meg with Lilyn and Toni. I can't wait to see the movie, too. Huge thanks to Flame Tree Press for these ARCs! If you guys aren't following Flame Tree Press, you need to be! These are the first 6 books they will be releasing (in September). I'm super excited for these books and what's to come. 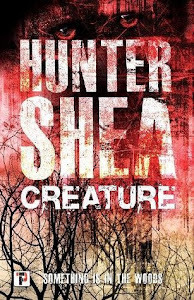 Creature by Hunter Shea - "Something is in the woods, screeching in the darkness, banging on the house, leaving animals for dead." After I finish Meg, I will be so happy to have another creature feature. 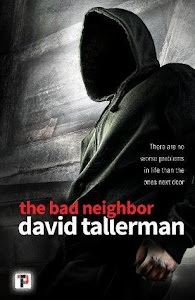 The Bad Neighbor by David Tallerman - "The Bad Neighbor is a gritty contemporary crime thriller set in the north of England, rooted in the author's personal experiences of the region while drawing upon wider issues of racial intolerance, gang crime, and police corruption." I'm excited to check out what kind of crime fiction will be coming out of Flame Tree Press. 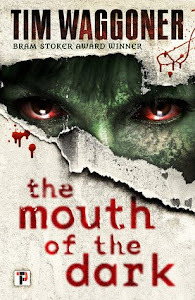 The Mouth of the Dark by Tim Waggoner - "Jayce’s twenty-year-old daughter Emory is missing, lost in a dark, dangerous realm called Shadow that exists alongside our own reality." Tim Waggoner is a well known name in the horror genre, but I don't think I've read his books before. I'll try to put aside my child horror fears and step lightly into this one. 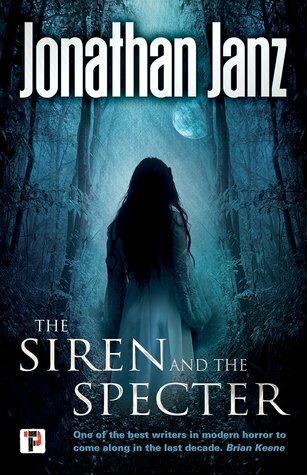 The Siren and The Specter by Jonathan Janz - "When David Caine, a celebrated skeptic of the supernatural, is invited by an old friend to spend a month in “the most haunted house in Virginia,” he believes the case will be like any other. But the Alexander House is different." I featured The Siren and the Specter in one of my wishlist posts. This is one of my most anticipated books for this year. 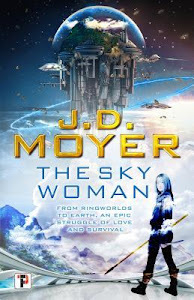 The Sky Woman by J D Moyer - "Progressive scientific culture lives on among orbiting ringstations, descendants of early pioneers who rejected terrestrial life in favor of contained biomes and well-organized, collective societies. One of these ringstations is The Stanford." Will this be outside of my comfort zone? We'll see! Maybe I can talk Lilyn into reading it with me! 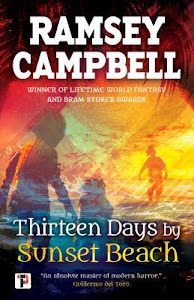 Thirteen Days by Sunset Beach by Ramsey Campbell - "Before their holiday is over, some of the family may learn more than they can bear about the secret that keeps the island alive..." Ooooh. I can't wait for this one! It was a bit outside of my comfort zone! I am not sure my post went through or not. But I want to read The Siren and the Specter. Sounds like my kind of book. Have a great week! This comment worked! 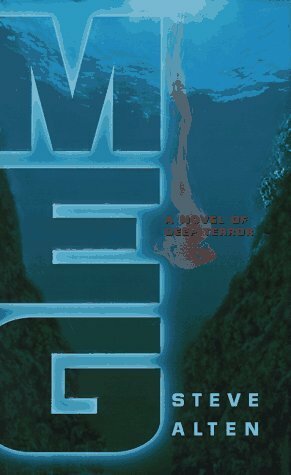 I'm really looking forward to reading Siren. I think it sounds like my kind of book, too. Thanks! Ah, I remember reading the early MEG books many, many years ago. And I also remember the first one having a totally over the top ending? It'll be interesting to see how they adapt it for the movie! Interesting books on your list. I hope you enjoy them and have a great week! 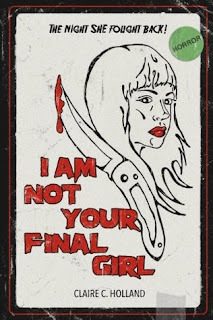 The cover to that first poetry collection is creepy! About as creepy as it’s name! Yes, it is! Honestly, it doesn't really fit the book. I was definitely taken in by the title on that one. :) I've roped Lilyn into reading The Sky Woman with me. Woohoo! I see you got some of the same books! So happy you are enjoying the Meg series. I read them some years ago and really liked them. Been waiting years for the movie and can't wait! 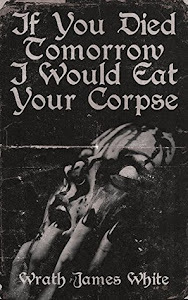 I think that If You Died Tomorrow I Would Eat Your Corpse wins the award for the best title EVER! Meg looks great! I am off to look up Flame Tree Press. Have a great week! It's a great title! I'm glad you are checking out Flame Tree Press. They are a publisher to keep an eye on! So glad you're enjoying Meg. I think Origins helped it make more sense and I'm glad you agree and it worked well for you too. I plan on continuing the series soon. Some great haul books too. We had a Salem's Lot and Return to Salem's Lot marathon this weekend. Yes, it was great advice. :) I have one day left on Meg. I don't think I've even seen Return to Salem's Lot. I have never heard of Flame Tree Press, I'll have to check them out since those books look pretty good! I need to add Meg to my TBR so I can get to it before the movie. I do recommend reading Meg. :) Thanks, I hope you have a great week, too. I'm looking forward to Creature-I have it pre-ordered! You have a nice variety of books there. I haven't read any or heard of most of them. Come see my week here. Happy reading! Thanks, Kathy. I think it's a great mix. I'm looking forward to them. I really need to hop on the Saga bandwagon. Those books are everywhere. Enjoy your new books! Have a good week! Thanks! 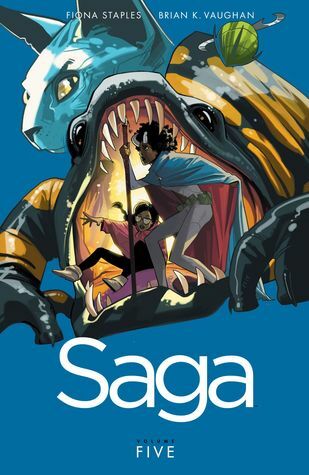 I'm enjoying Saga. I wish my library wasn't being so slow on the acquisitions, though. Sounds like you need a little quiet time for yourself, hope that is happening and that your reads are helping. The Meg books look great!! I will have to read them. I absolutely can't wait to see the movie!! My brother is a big horror fan - and just recently asked me for some poetry recommendations. Looks like I have a new book to tell him about! I'm excited about the movie, too! Ooh, yes. Stay tuned. I'm planning to read what poetry I can find this year. It's a great title, but it's not a collection that will appeal to everyone. :) It took me a bit outside of my comfort zone. 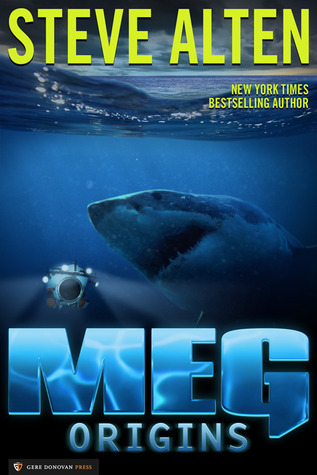 Wait, is the movie Meg also based on that book called Meg? Sorry if I'm wrong, I don't know anything haha. Hava a great week! Yes, definitely check them out on Netgalley. I will be diving into the stack soon.